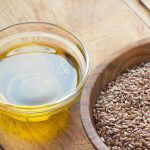 “When someone tells me they have tried flax oil (linseed oil) and don’t like its taste I suspect they have not tried fresh flax oil” Udo Erasmus, 1986, Fats that Heal, Fats that Kill. The 500 ml bottle is ideal if you use use 2 or more teaspoons per day. Good family size bottle. For the Budwig Diet a 500 ml bottle lasts approximately 5 days. Freshly cold-pressed linseed oil of exceptional quality and a sweet mild flavour. Unfiltered so may contain some small particles of the original seed. 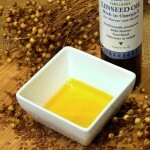 Flax Farm cold pressed linseed (flaxseed) oil is simply linseed oil cold pressed and bottled in the traditional way. It is not refined and we don’t use any preservatives. It is not intended to be a long shelf-life product. The gentle production method means it tastes great. 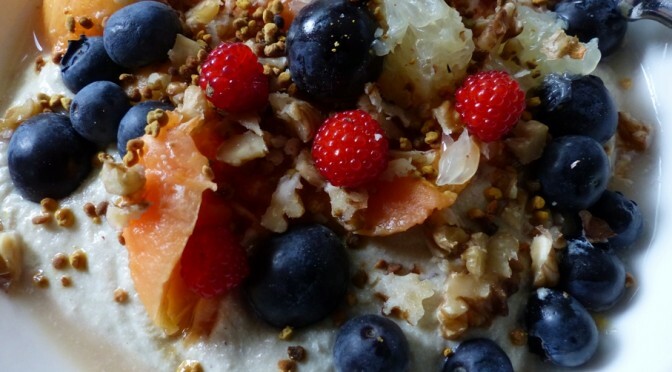 We want you to enjoy it at its best, fresh as a natural healthy food. 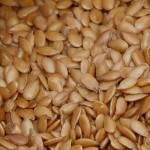 Click for more information on using linseed (flaxseed) oil for the Budwig diet. Open bottles of oil should be stored in the fridge, this is the ideal place because it is cold and, more importantly, dark. Mixing your juices incorporates flavours which complement each other and make fabulous drinks – and as you make them fresh you can tweak the recipe to suit your mood. The quantities in the recipes are very approximate because you don’t want to be weighing the ingredients. You quickly learn to get it the way you like by eye. I usually make a juice every day and drink it within two days; this gives the opportunity to mix the juices together. This combo is so distractingly good, it completely converted me from a lifelong hatred of beetroot to loving it. Fill a glass with half of each, watch the red, yellows and orange swirl together and enjoy the zinginess of citrus balanced with an earthy sweetness.